Today I received an email from KFC with a deal that I had to share. 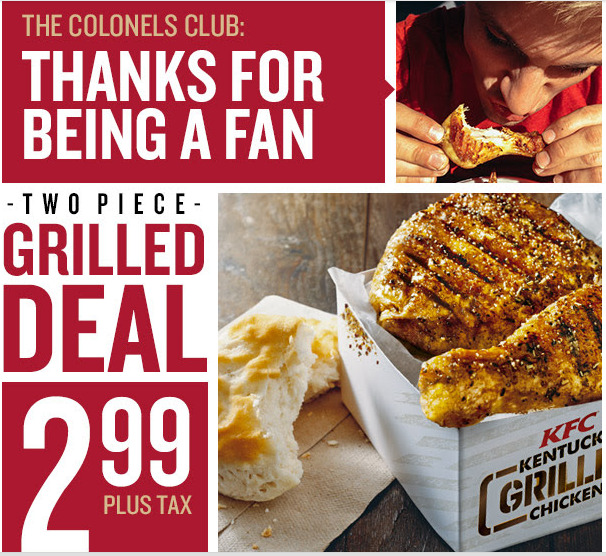 Until March 16, 2014, you can get two pieces of grilled KFC chicken and a biscuit for only $2.99 which would a great treat for lunch or dinner. Note: If you interested in this deal, print lots of coupons now. KFC has been known to remove coupons from their website before the actual expiration date.